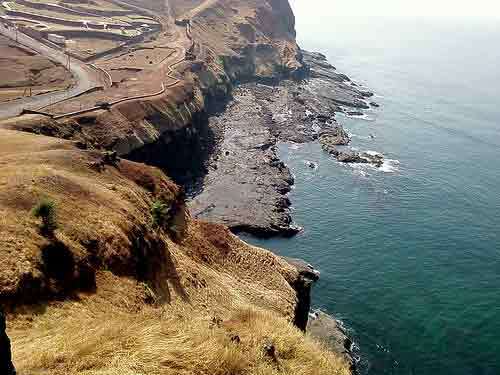 Ratnadurg Fort which is surrounded by the Arebian Sea from three sides. The fort is having a shape of Horse Shoe and a length approximately 1300 m and width 1000m. It’s having strong fortifications from south-east to west side. Approximately at the center of the fortifications, there is a main entrance gate. There is a Lighthouse on one of the bastion. This bastion is called as “Siddha Bastion”. Many plants are there in the area of fort. One small temple of Hanumanji is at the entrance of the fort. After crossing the first entrance gate there is a door with ancient structure. We have to cross both of these gates while coming from the city of Ratnagiri. From the door itself we can view the entire area of the fort. At the upper fort i.e. Balekilla (in Marathi) on the left hand side we have one Lord Ganesh deity and a deity of Hanumanji on right side. In front of this there is a beautiful temple of Goddess Bhagawati. Due to this Goddess, the fort is also named as “Bhagawati Durga”. Every year devotees are celebrating the festival of Navaratri at the Bhagawati temple premises. One well of potable water is present on the left side of the temple in-spite of the surrounding sea. There is a tunnel joins the upper fort and the bottom foot of the fort on north and south side. There are many bastions on the fort. Some of them are called as Ganesh, Markya, Baskya, Vetal, Khamkya Rede, Vagha. 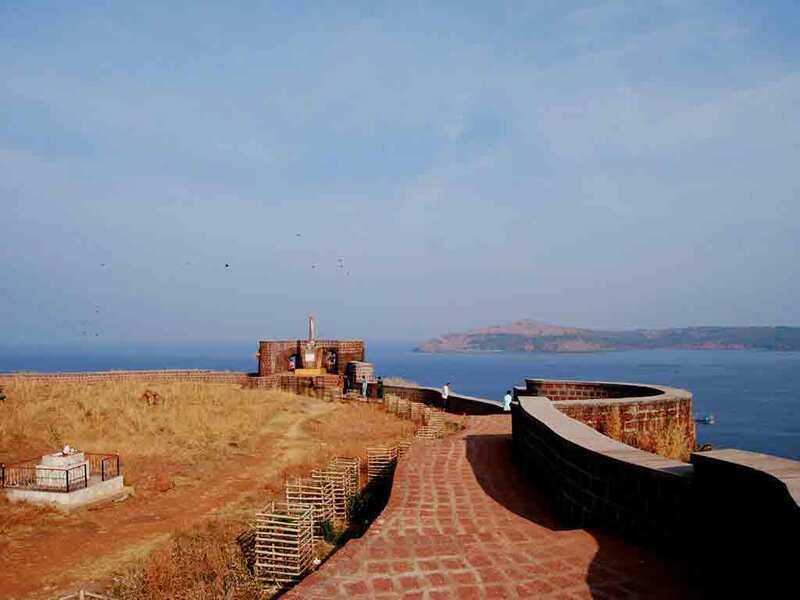 From the west side of the fort, bewitching scene of Arebian Sea can be enjoyed by the tourists. The waves of the Sindhusagar (Arebian Sea) are hitting very strongly on to the walls of the fort. Indeed a beautiful view especially in rainy season! This fort was constructed during the rule of Bahamanee. 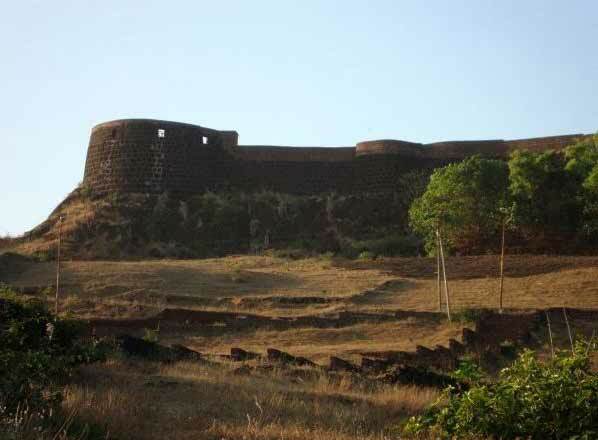 After that it was captured by Adilshah and from Adilshah Chatrapati Shivaji Maharaj (founder of Maratha Empire in India) took the charge of the fort in the year 1670. Ch. Sambhaji raje (sun of Ch. 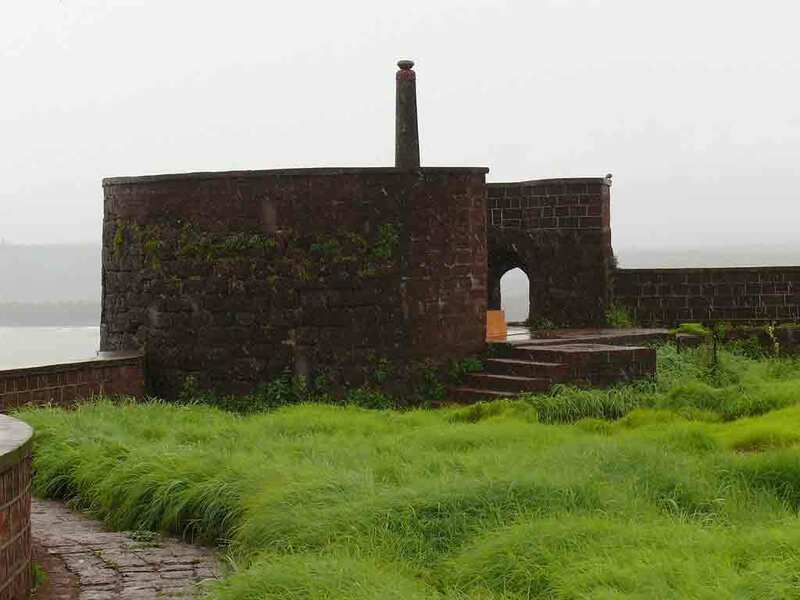 Shivaji Maharaj) stayed at this fort in the year 1680. 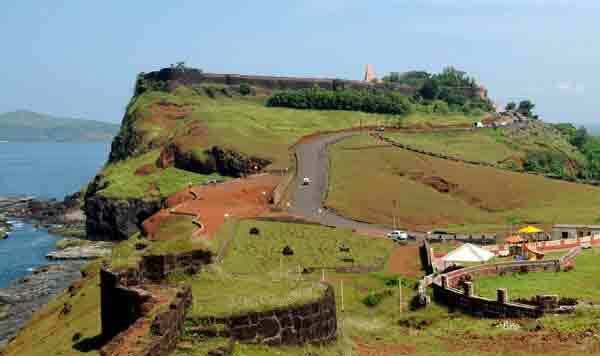 In subsequent time this fort was controlled by Karawir Chatrapati. Then the fort was hand over to Aangre family. 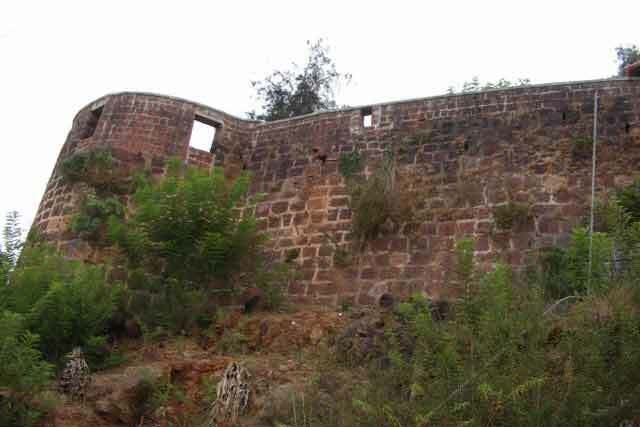 During the war between the Aangre and Peshva, Peshva won this fort with the help of britishers in the year 1753. But unfortunately in the year 1818, the fort was captured by the Britishers. Accommodation is not available on the fort. Ratnagiri is the nearest railway station. 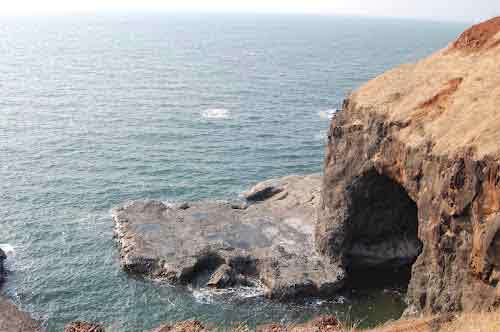 Ratnadurga is only 4 kms from Ratnagiri bus stand. MSRTC has arranged a decent frequency of city buses from the bus stand up to the foot of the fort. It’s a journey of only 15 mins. Even visitors can travel by Auto rikshaw from the bus stand to fort.